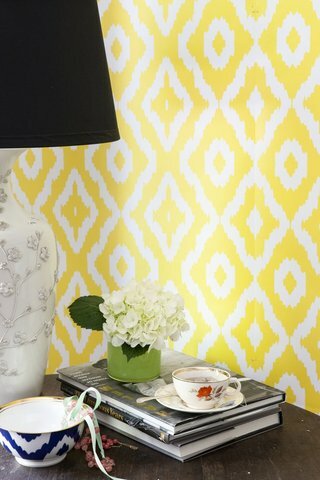 Wallpaper is all over my favorite blogs recently and I am loving it! It can add such a nice splash of color, pattern and decoration to any wall. 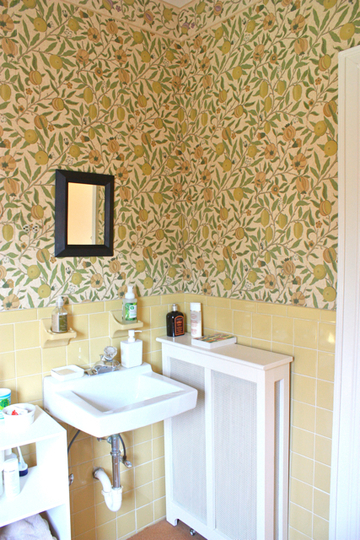 I have dreams of doing a half bath in a crazy wallpaper someday. This one by Kimberley Lewis Home and spotted on Design*Sponge this morning may be my absolute favorite. I love the soft graphic quality and the yellow and gray. It feels classic and refreshingly modern at the same time. This is my other favorite from Kimberly Lewis. Not to mention I LOVE the yellow bag. This dresser refinishing project was done by my college friend, Ashley, over on the Homemade Home. I love the small touch of patterned wallpaper in the back of the bookshelf. 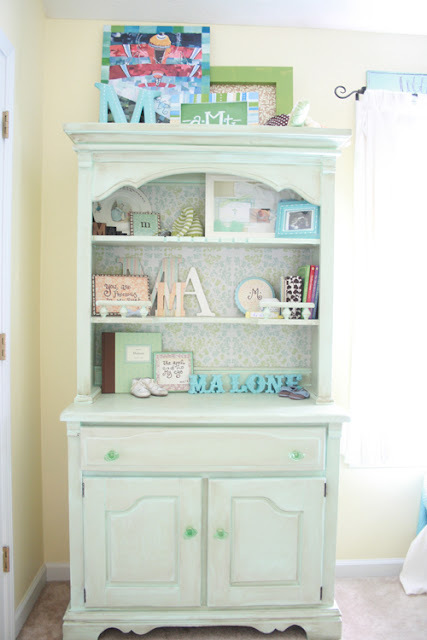 This one from AphroChic (and originally seen on Elements of Style) is striking! 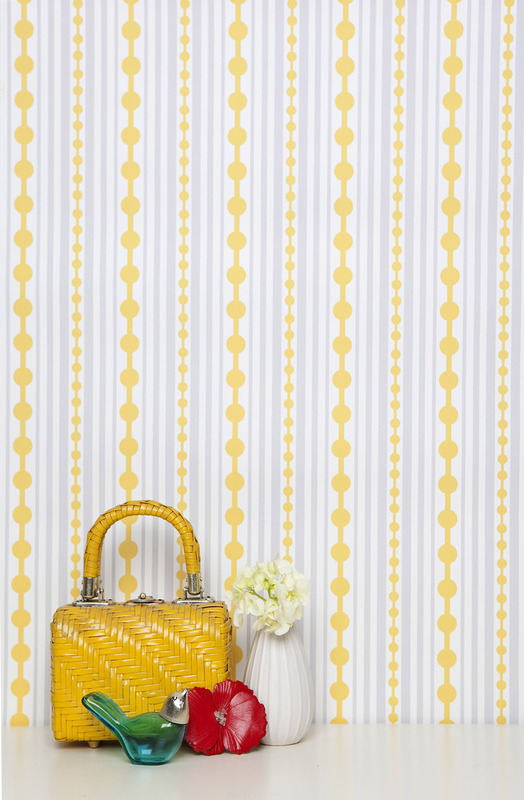 Yellow has always been my favorite color, and this wallpaper reminds me why. 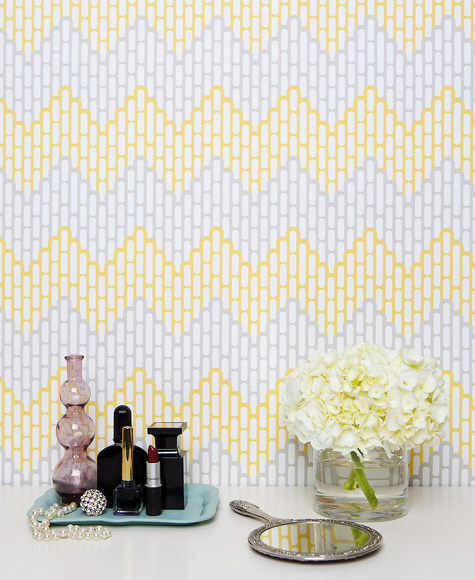 This one, on Apartment Therapy today, is probably a bit much for me, but I love the vintage style wallpaper and the pale yellow tiles. 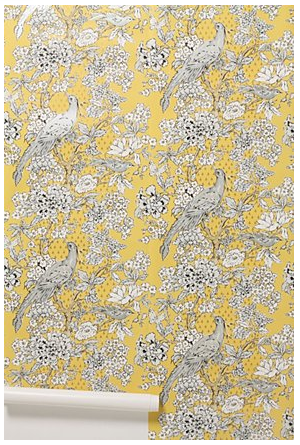 Last, this crazy bird pattern is from the new Anthropologie wallpaper line. Thanks Sarah for posting about these because I am now obsessed.